Crisp rectangular planes, thin sides and fronts with a soft and subtle radius on top. 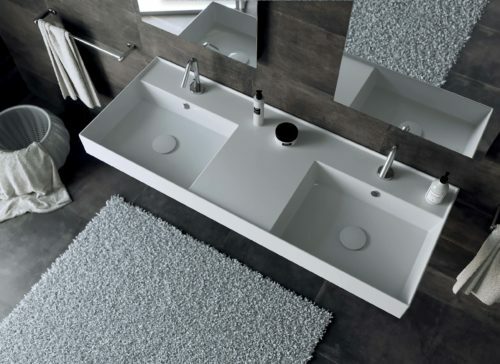 The Twenty collection of washbasins is a range for all contemporary designer-friendly bathrooms. 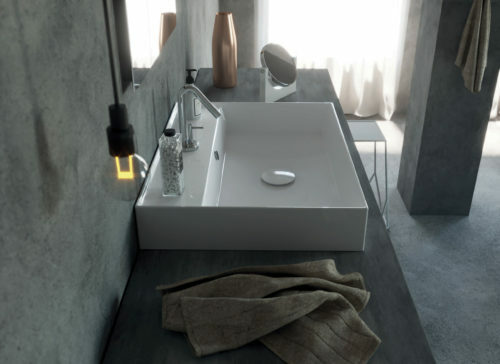 With perimeters that elegantly frame the basin tops and sleek lines driving the design from conception to execution, the Twenty collection is a series of pieces that can serve as distinctive feature objects in a bathroom, without the pitfalls of bulkier basins. 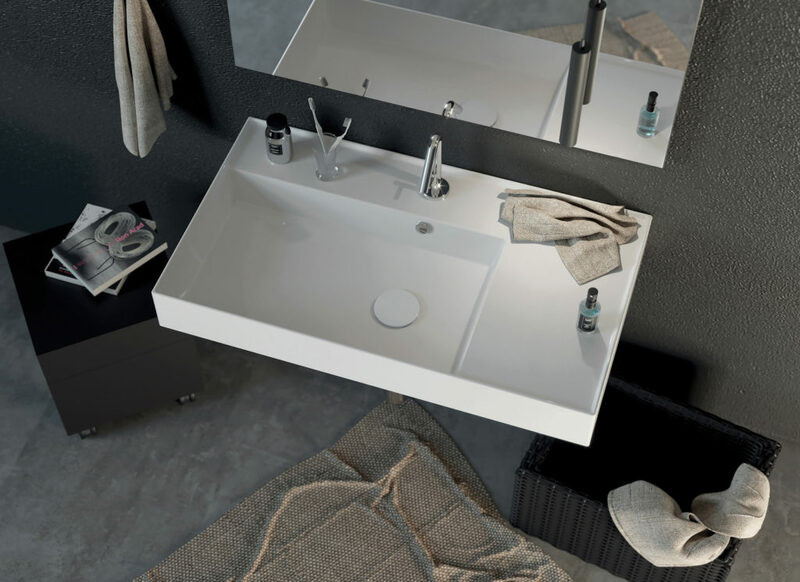 Designed and manufactured by Ceramica Tecla in Italy, the collection’s unsurpassed quality is achieved by means of the most up to date production methods for ceramics. Knowing the value of traditional Italian artisan methods, all models are finally hand finished and then rectified after firing. 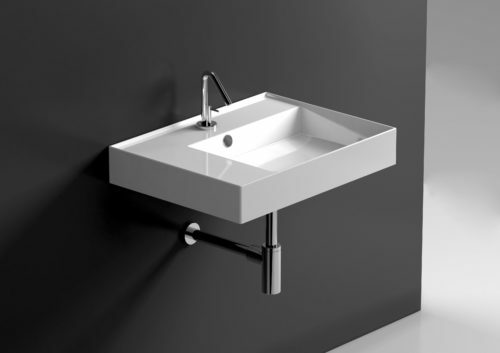 A smooth 125mm in height, the Twenty collection comes in four lengths from 610 up to a luxury 1210mm, all with tap landings. 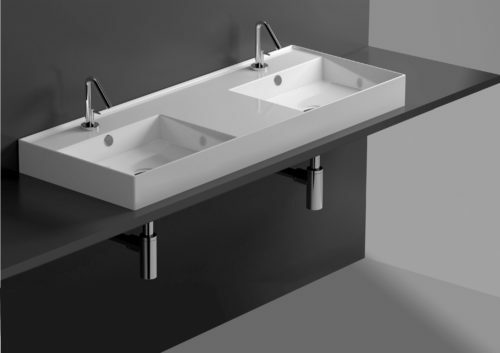 To cater to all needs, the range comprises of four configurations; full bowl, centre bowl with two side shelves, hard right or left aligned bowl with opposite hand shelf, with the 1210mm available in a fifth configuration with a double bowl with centre shelf.